The University College of Liverpool was founded in 1881, and received its university charter in 1903. John Garstang (1876-1956), who had studied under Francis J. Haverfield in Oxford and excavated in Egypt with Flinders Petrie, was appointed honorary reader in Egyptology at Liverpool in 1902. Garstang then worked towards the foundation of the Institute of Archaeology (1904). Robert C. Bosanquet, director of the BSA, was appointed professor of classical archaeology in 1906. 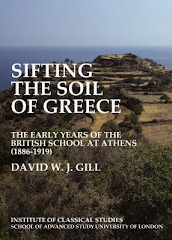 The Greek archaeology interests of the department were strengthened in 1907 with the appointment of John L. Myres as Gladstone professor of Greek and lecturer in Ancient Geography, though his stay was short as he returned to Oxford in 1910. He was replaced by Arnold W. Gomme who held the position of assistant lecturer in Classics (1910-11). He had a strong interest in topography, filling a gap left by Myres, but he moved to Glasgow after a year. Gomme in turn was replaced by Henry A. Ormerod, who served as assistant lecturer in Greek (1911-23). During this time he started his work on piracy in the ancient world. 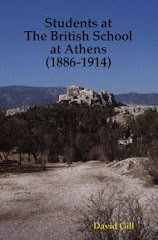 Arthur M. Woodward was appointed assistant lecturer in 1911 after serving as Assistant Director in Athens (1909/10). However after a year he moved to Leeds as Reader, no doubt reflecting his expertise in the field of epigraphy. A further BSA student, William R. Halliday, joined the university in 1914 as the Rathbone professor of Ancient History (1914-28). James George Frazer (BSA 1889/90) was appointed professor of Social Anthropology in 1908. Bosanquet left Liverpool in 1920 to make way for men returning from the First World War. He was succeeded by another BSA student, John P. Droop. 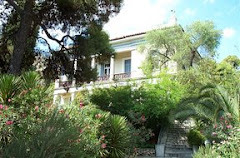 who held the Charles W. Jones Professor of Classical Archaeology (1921-48). Droop had excavated with Bosanquet in Greece, and also in Egypt at Abydos. A further former BSA student was T. Eric Peet who arrived as the Brunner professor of Egyptology (1920-33). There was further change in 1923 when Ormerod left Liverpool to become professor of Classics at Leeds. He returned to Liverpool in 1928 as the Rathbone professor of Ancient History (1928-51) when Halliday left.